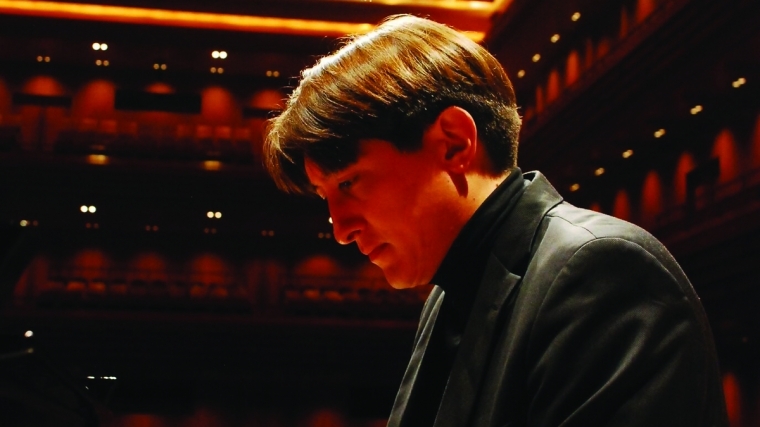 After a rigorously conducting the orchestral exposition of Beethoven’s third Piano Concerto, Freddy Kempf glides onto a Steinway for a memorable rendition of the first movement’s opening cadenza. It is not the first time that the Brighton Philharmonic has flabbergasted its viewers with such displays — Howard Shelley graced audiences with the same Herculean feat, performing and conducting Mendelssohn’s first piano concerto with the assistance of an iPad. Still, taking on this difficult dual role is no less impressive the second time around. Yet again, the Brighton Philharmonic has put on a superb classical music performance at an affordable price. Mr Kempf’s virtuosity brings momentous life to the words of one of Beethoven’s students, Carl Czerny, who wrote that the concerto’s slow Largo movement must ‘sound like a holy, distant, and celestial harmony.’ Indeed, Kempf exudes a Lisztian charisma totally befitting of the third concerto, the last of Beethoven’s to be written as a ‘rough script’ intended to change with each performance. Modern musicology tells us that the concerto was written around the time Beethoven was becoming particularly disenchanted with his deafness, which he outlined in a letter to his brothers. Concertos written after the third are more fixed, resembling the sonata and symphony more than pieces centred on the expressive soloist. At times, Mr Kempf’s expert pedal work in the delicate second movement creates the auditory illusion of two pianos playing at once, an impression likely aided by the Dome’s acoustics. Dvorak’s seventh symphony was commissioned by the Philharmonic Society in London, and the sombre tone of this work may be a manifestation of the tension between the composer’s commitment to the Czech motherland and the irresistible pull of international recognition. The work is difficult to place within Dvorak’s oeuvre, and despite positive reception at its London premiere in April 1885, the melancholia was too much for a critic from The Times, who dismissed it as ‘lugubrious without the pathos of sadness.’ The Brighton Philharmonic’s performance was lively and engaging throughout. The concert opened explosively with a flawless performance of Rossini’s Semiramide. The softer pizzicato sections undulated across the concert hall with commendable directionality, while booming percussion bolstered the strength of the dynamics. A fellow concertgoer — a casual listener of classical music — remarked that this was the finest classical music performance he had ever seen. The Brighton Philharmonic Orchestra’s programme continues on 2 December. As ever, students receive 50% off the list price of tickets.